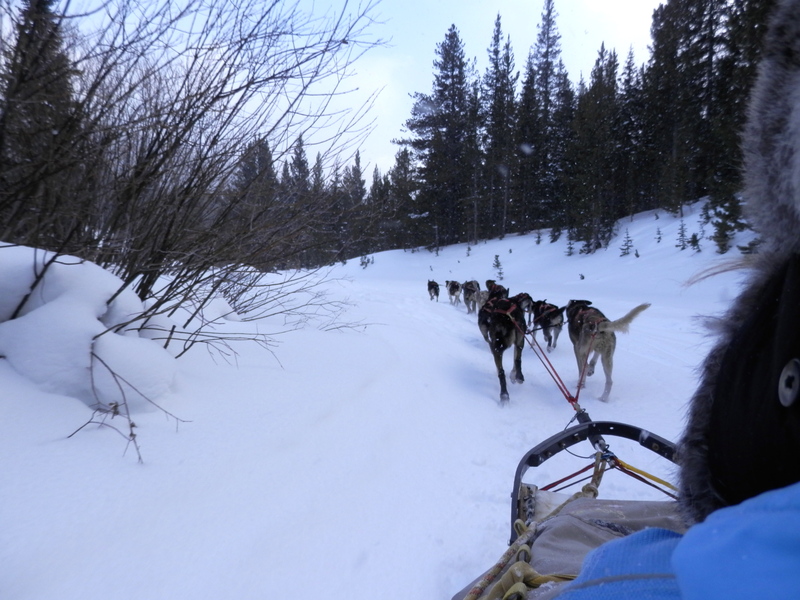 We saw an ad for dog sled rides at Monarch so we signed right up. 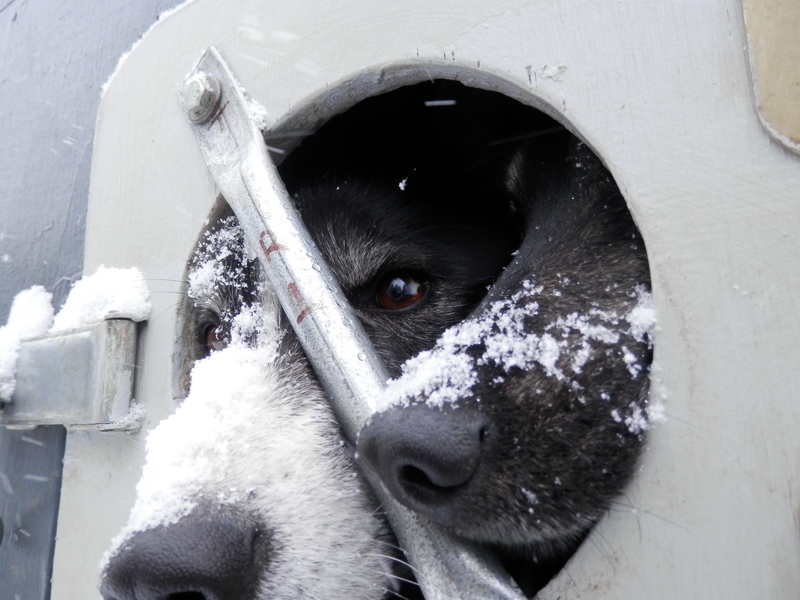 A few years ago, I took a dog sled ride in Snowmass. And it was fantastic! 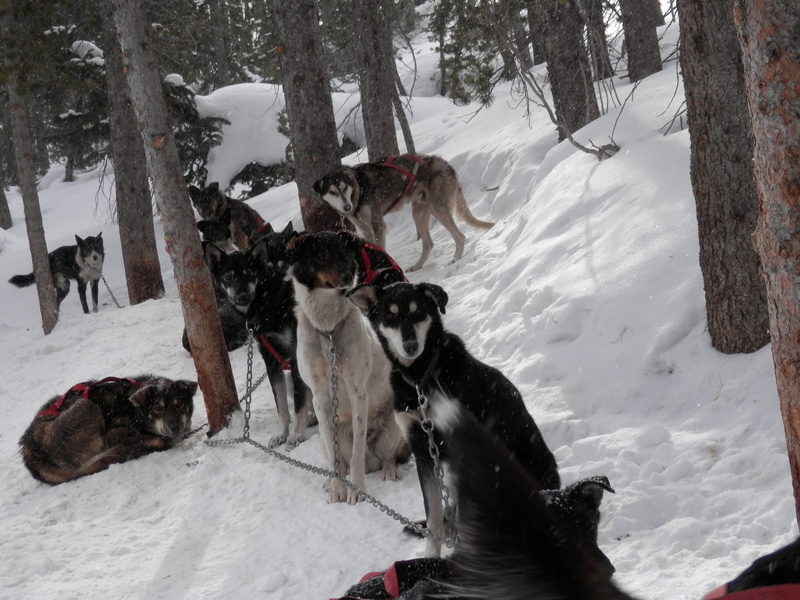 Before taking that ride in Snowmass, my initial impression of dog sled rides went something like this: “Oh, the poor doggies! 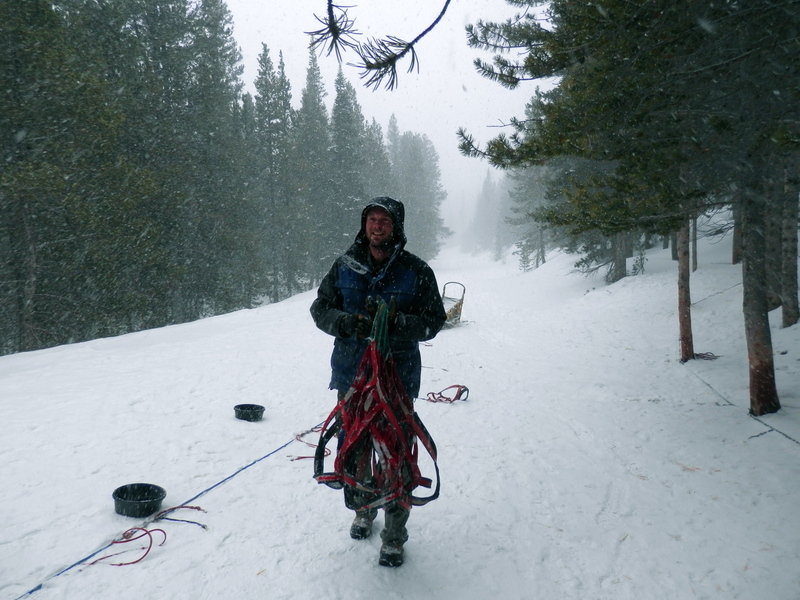 Made to pull fat Americans through the heavy snow!” But, Olivia and I needed a break from skiing so we decided to try it and see just how bad it was for he dogs. Well, of course I soon found out how wrong my initial impression was. That’s what happens when you make a judgement without any real facts – it’s often way off the mark! The dogs absolutely love to pull the sled! The outfit we used here is called Monarch Dog Sled Rides. All of the pictures on this post are from our ride at Monarch. Down from Alaska, Caleb Hathaway started the business here last year. 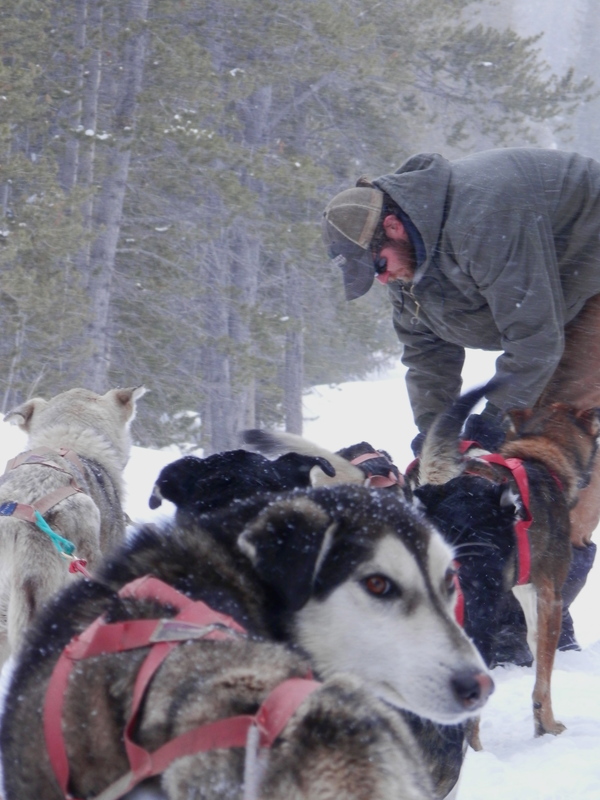 His dogs are not Huskies; they’re mostly wonderful Alaskan-bred mutts. 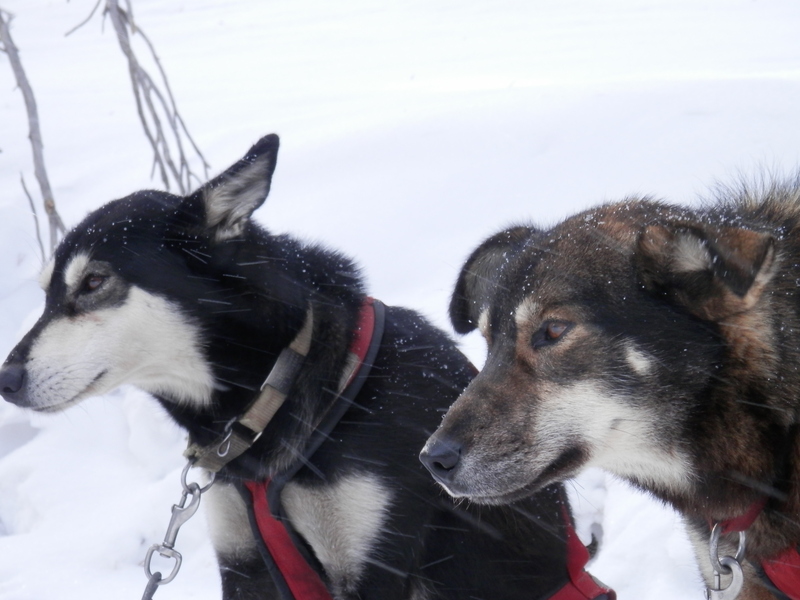 David and I were given time to meet and pet every one of the beautiful dogs before we loaded into the sled. The dogs are so friendly! I got lots of doggy kisses and love. We even got to put on a harness or two. Wow, those dogs were so excited to be hitched up for a run! 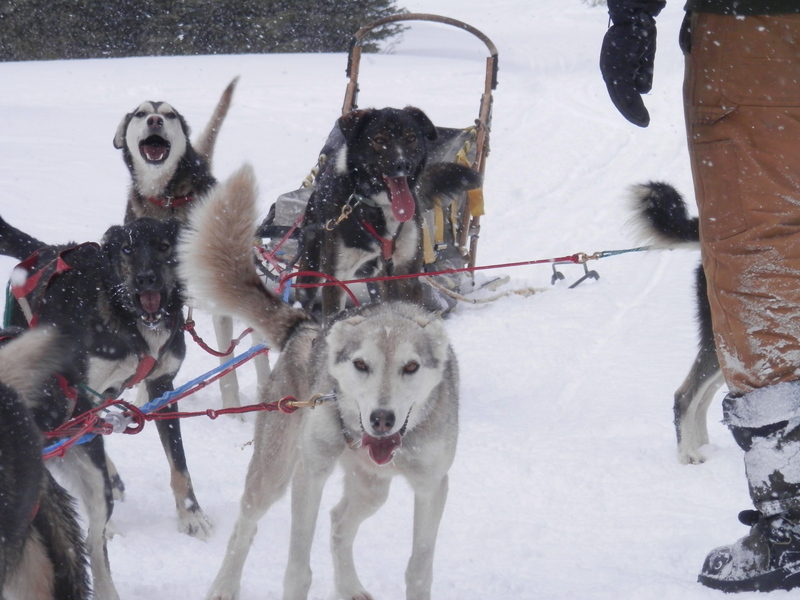 Our musher was Chad. 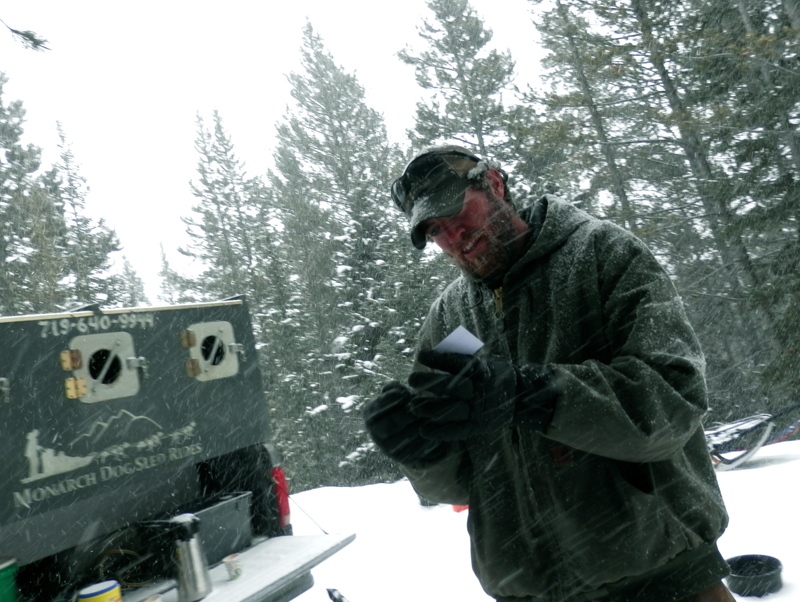 He spends winters with the dogs and summers kayaking white water. Speaks French, too. Such a life! Chad chatted us up during the ride, explaining about the dogs and what their life is like. These are happy dogs! They live to run and pull the sled. Caleb brought the dogs as puppies from Alaska. 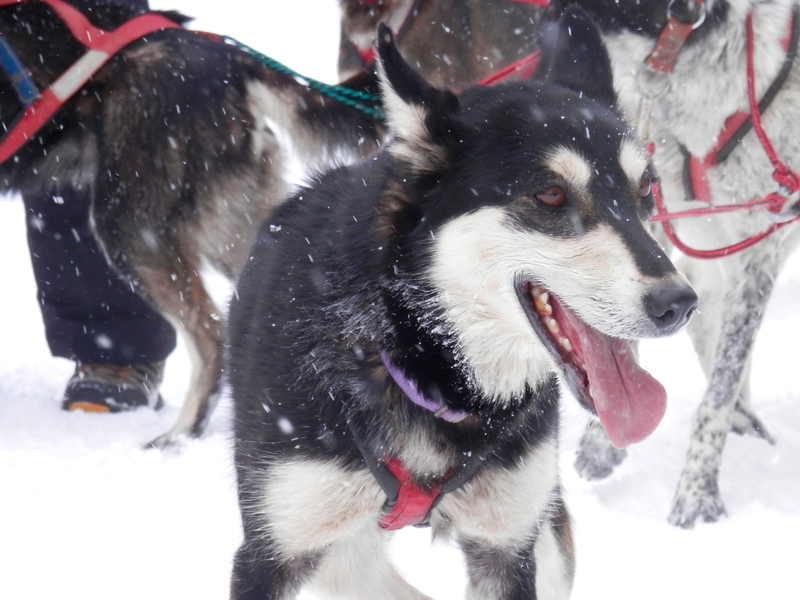 He had experience training teams for the Iditarod and decided that Monarch needed a dog sled outfit. They were lovingly raised to do what they were born to do – run! 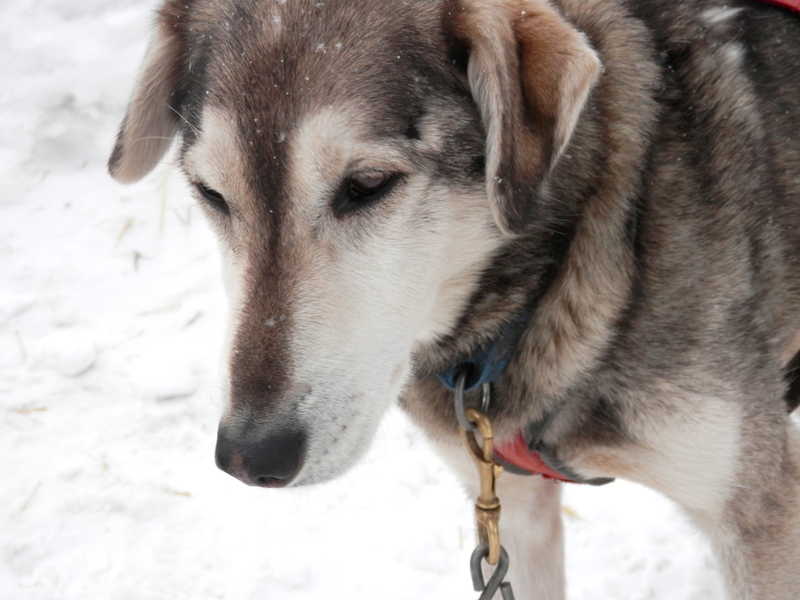 We’re so glad he did for we loved our ride through the winter woods with the beautiful dogs! They took off joyfully, with ears bobbing, tails bouncing and tongues flapping. Thinking about the Iditarod maybe? David was wondering how many dogs it would take to pull the Tramper? ?